Stranger in a Strange Land: Did Germany Approve Bailout to Force Greece Out of Eurozone? Did Germany Approve Bailout to Force Greece Out of Eurozone? German Chancellor Angela Merkel is urging her lawmakers to support the new rescue package for Greece. This despite worries that Athens will need even more cash in the future, and suggestions from Germany's Interior Minister that it's time Greece left the eurozone altogether. The 130-billion euro bailout was agreed in principle last week after months of tense discussions among the eurozone leaders. Germany, as Europe's richest economy, has to contribute the majority towards it. 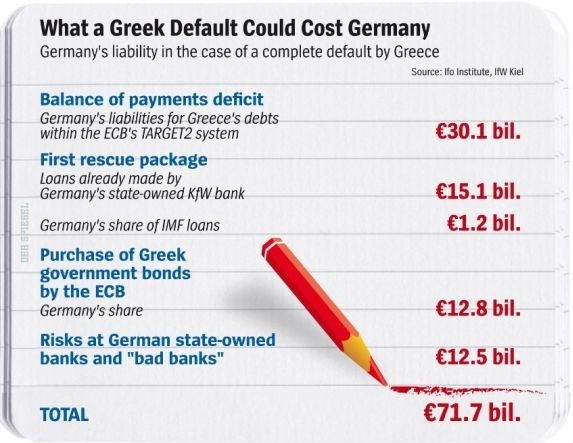 But there is a sense of unease in Berlin that it will have to keep coughing up cash to prevent a Greek debt default. Political analyst F. William Engdahl believes this is part of Germany’s strategy for getting "the weakest link out of the eurozone." "The terms that Germany imposed – insisted on – for Greece’s second bailout of €130 billion were so stringent that it was pre-planned to force Greece out,” Engdahl told RT. “Some time later in the year, perhaps as early as June or July, maybe later in the autumn, it is expected that Greece is going to leave the eurozone." The parliament approved the bailout with 496 votes in favor, 90 against and five abstentions. The decision gives a green light to Greece’s second rescue package in less than two years. However, it is not clear what share of the new package Germany will have to pay from its own pocket. It is expected that the IMF will also make a significant contribution. The idea of bailing out Greece has never been popular in Germany. Before the vote, Chancellor Angela Merkel told lawmakers that although no one could give a 100 per cent guarantee that the rescue program will indeed help Greece, it would be "irresponsible" to abandon the country to bankruptcy at this point. Engdahl says that Merkel is riding high in the German popularity charts precisely because she has portrayed her government as being “tough as nails” on the Greeks, punishing them for their past excesses. Engdahl believes it is “absurd” to imagine that Greece is going to stay in the eurozone. For Greece, on the contrary, staying in the eurozone would lead to a disaster, as there is no way that Greece can sustain the conditions that the IMF and EU have imposed for passing the additional rescue package, Engdahl said.